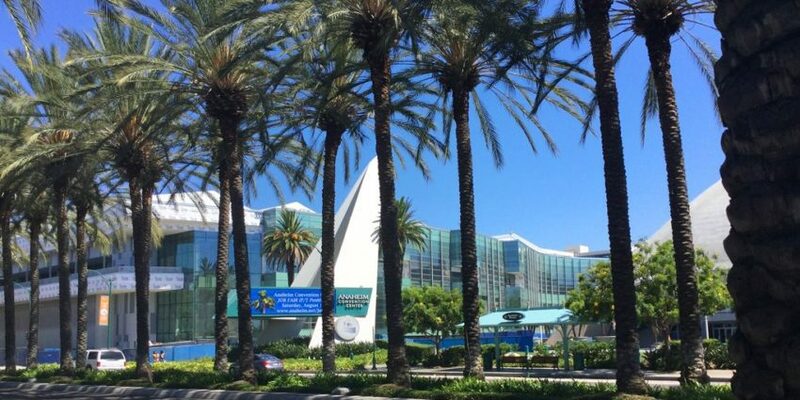 Originally opened in 1967, The Anaheim Convention Center has recently undergone its second major expansion and renovation to offer an additional 200,000 square feet of flexible meeting space. The additional space was split between two levels of a new building named ACC North. ACC North boasts 25 foot ceilings and pillar-free space. The renovation included two massive multi-purpose rooms, 10,000 square feet of balcony space, and a new car park featuring 1,350 parking spaces. A climate controlled bridge now connects ACC North to the existing convention center. 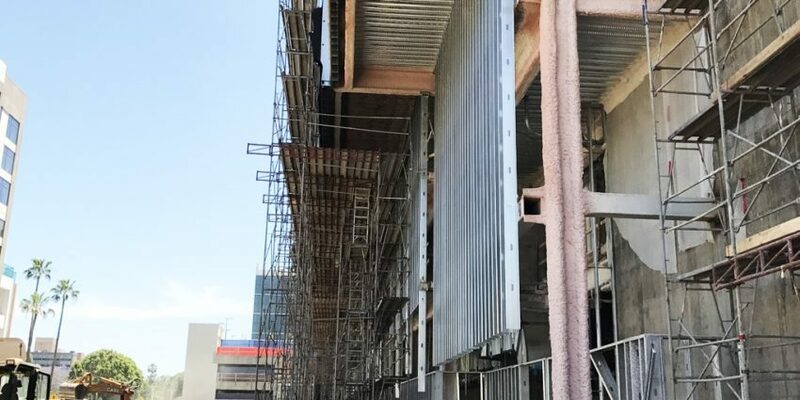 Raymond’s Southern California region provided the interior and exterior metal stud framing, drywall, lath, plaster, fireproofing, taping, insulation, specialty ceilings and scaffolding on the Center, which boasts itself as the largest exhibit facility on the West Coast. With an accelerated schedule, Raymond and General Contractor, Turner Construction, worked side by side to prioritize tasks, increase production, and ultimately deliver a quality project on time. Raymond preplanned and prefabricated as many of the activities and materials as possible on the project. One example was the R-Max Insulation Board used on the exterior of the building for continuous insulation. Raymond determined the optimal, custom size of the insulation board to maximize framing spacing. This reduced waste and schedule delays, and increased productivity. With production always in mind, Raymond researched the selected two types of panels for the interior and exterior of the convention centerand worked out a layout that maximized the panels and minimized waste. A rain screen panel, Material Exterior Grade (MEG) was used on the exterior of the new building; and KMDI MicroLite!, a faux, wood veneer, aesthetic panel was used in the interior main entry/pre-function area. Both panels were chosen for their high quality and efficient installations. This was Raymond’s first experience with either type of panel, and the team did a great job of being prepared and staying organized. Every aspect of each panel system was reviewed to ensure the most effective executions. Raymond prefabricated the framing for the operable partition soffits in both multipurpose rooms. 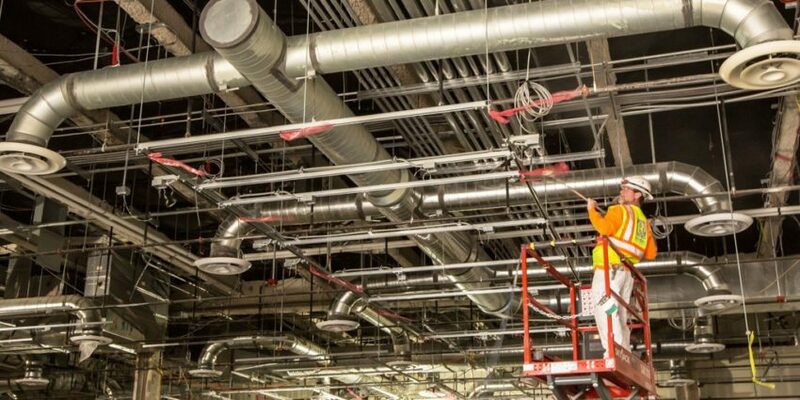 Preassembled ceiling framing components were installed in large sections as permitted by the schedule and in coordination with other trades, once again saving time and decreasing safety risks. In the Center’s new car park, Raymond installed high-density spray-on fireproofing on all the steel. By finding small openings in the schedule, Raymond was able to install the fireproofing ahead of schedule. By keeping a small crew moving throughout the car park, the budget was maintained and the schedule was accelerated. With such a tight project schedule, finding ways to add value became vital early on. 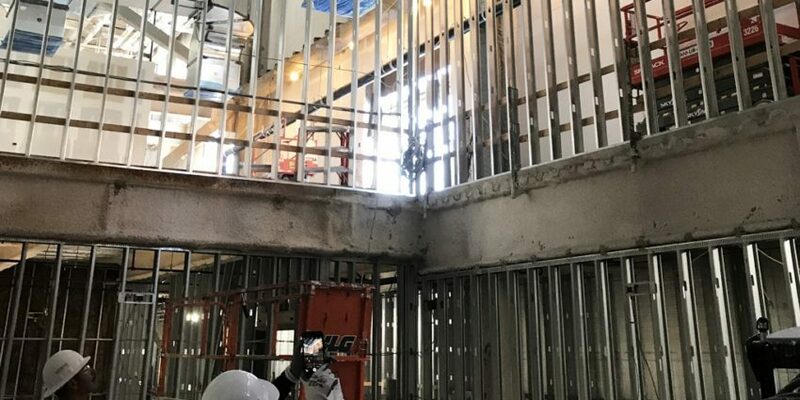 With the help of Turner Construction and the other trades onsite, Raymond exhausted as many timesaving and cost cutting measures as possible, creating a more productive, and safer, workspace altogether. 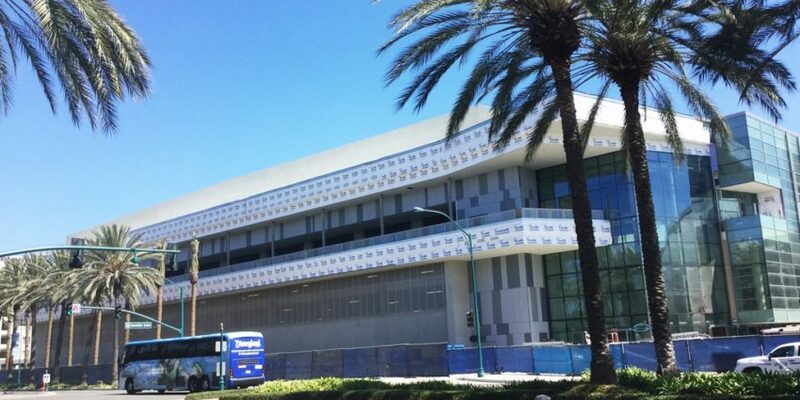 Construction of the Anaheim Convention Center was estimated to create 1,860 jobs, and the new expansion is estimated to support 2,000 new jobs annually. Raymond appreciates the opportunity and is proud to have worked on this world-class venue.